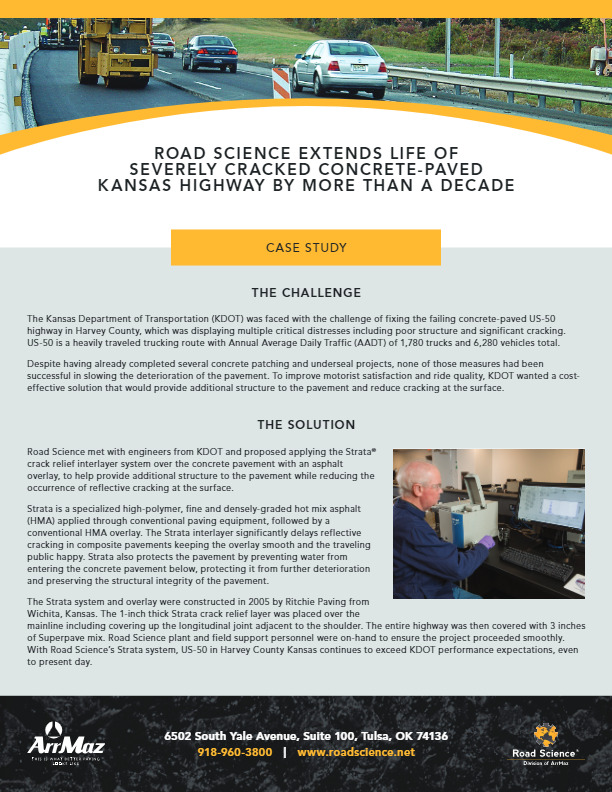 Hot mix asphalt (HMA) applied over concrete pavements has always been a challenge as the joints of the concrete pavement cause cracking that quickly reflect upward through the new HMA overlay to the surface. 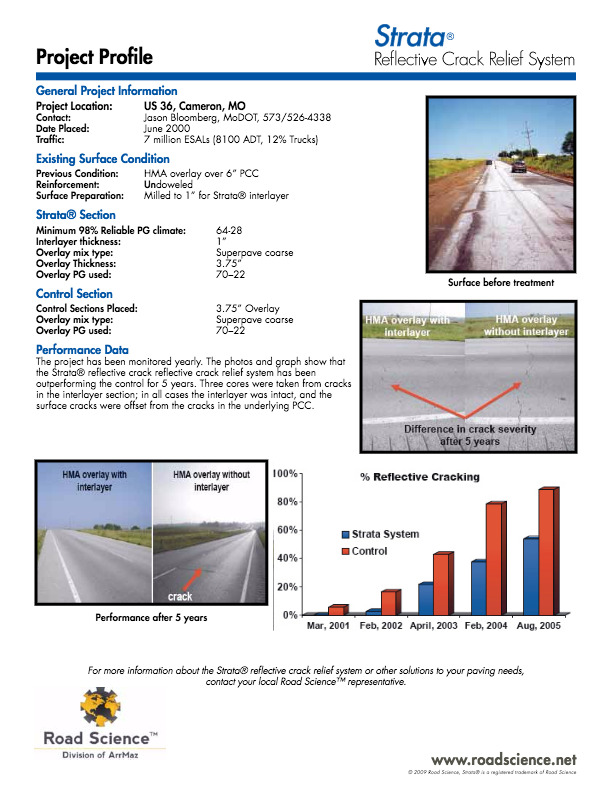 Pavement smoothness and condition deteriorate rapidly as the cracks allow water to infiltrate the entire pavement structure, causing rapid degradation of the HMA and voids that proliferate in the base below the concrete pavement. 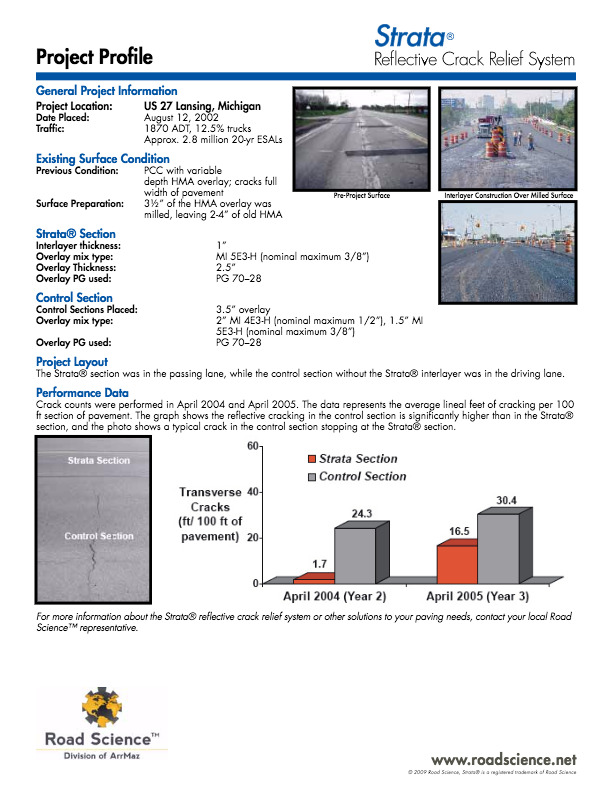 This leads to costly repairs, lengthy user delays and inconvenience to motorists. 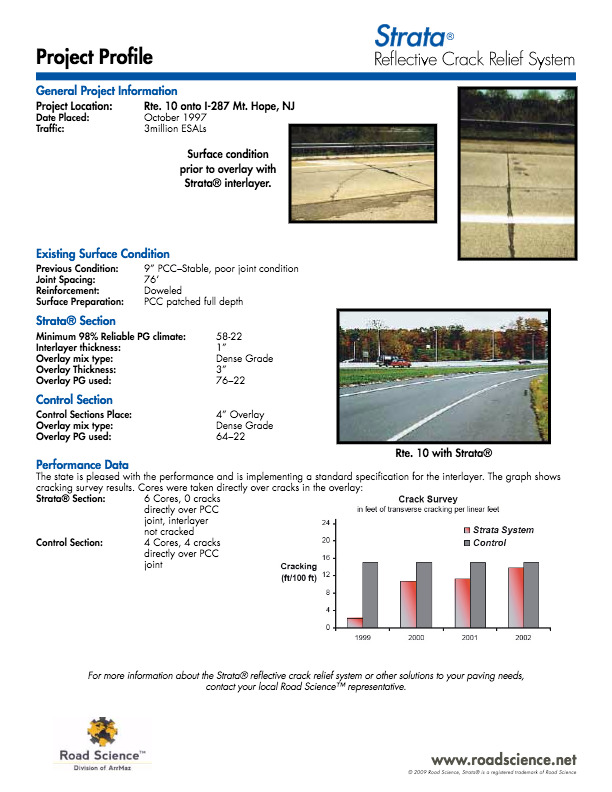 With Road Science’s Strata® technology, overlaying concrete pavements successfully can now be accomplished. 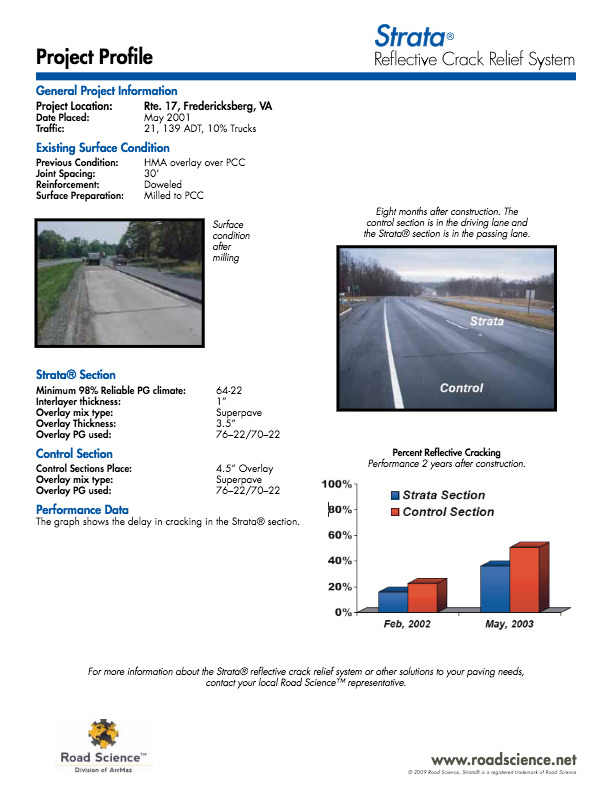 Strata is a specialized high polymer, fine and densely graded HMA mix typically applied through conventional paving equipment, followed by a typical HMA mix. 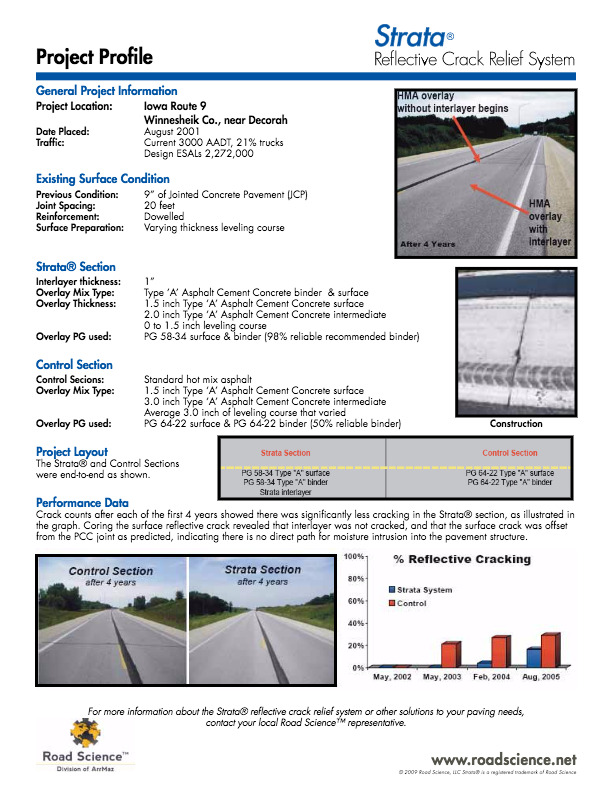 The Strata interlayer significantly delays reflective cracking keeping the entire pavement structure in good condition and the traveling public happy. 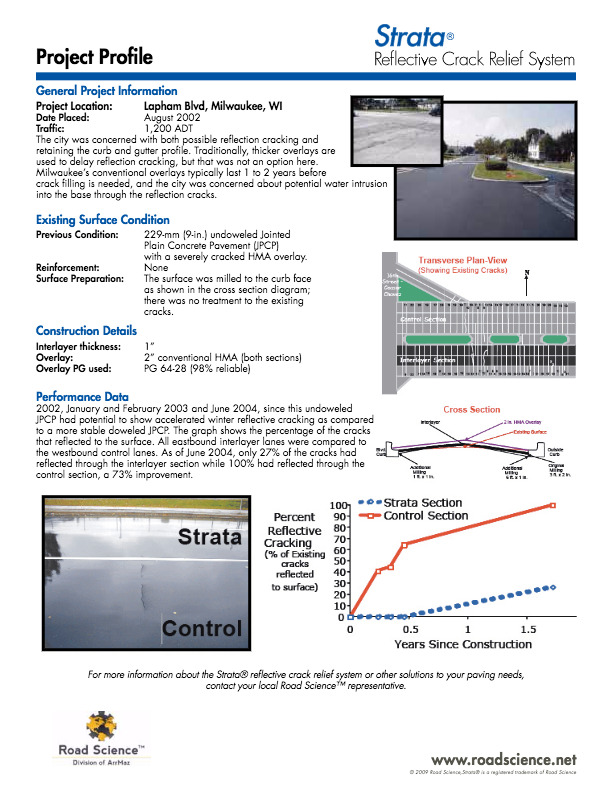 Strata also prevents water from entering the concrete pavement below the Strata lift and preserves the structural integrity of the pavement. 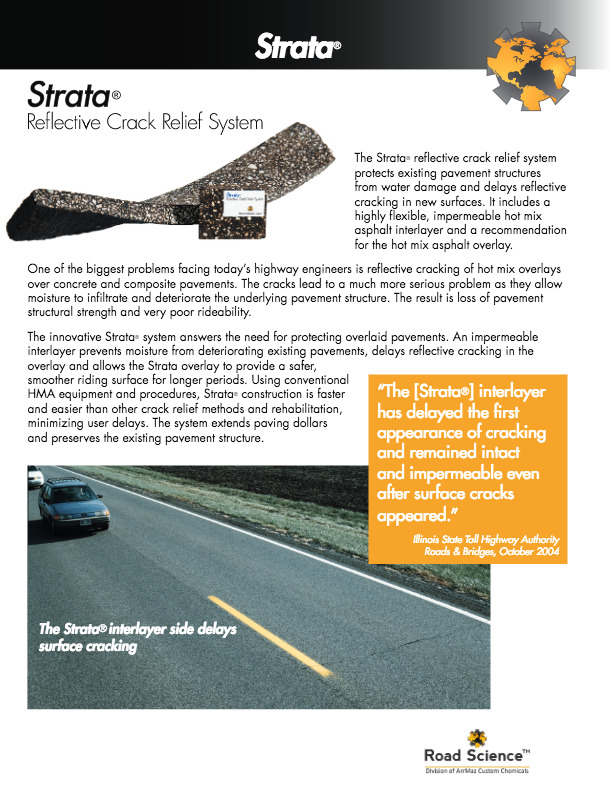 Studies in Kansas have shown that Strata crack relief interlayers applied even over concrete pavement in poor condition have preserved and delayed overlay cracking for up to 12 years before another maintenance action on the overlay is needed. 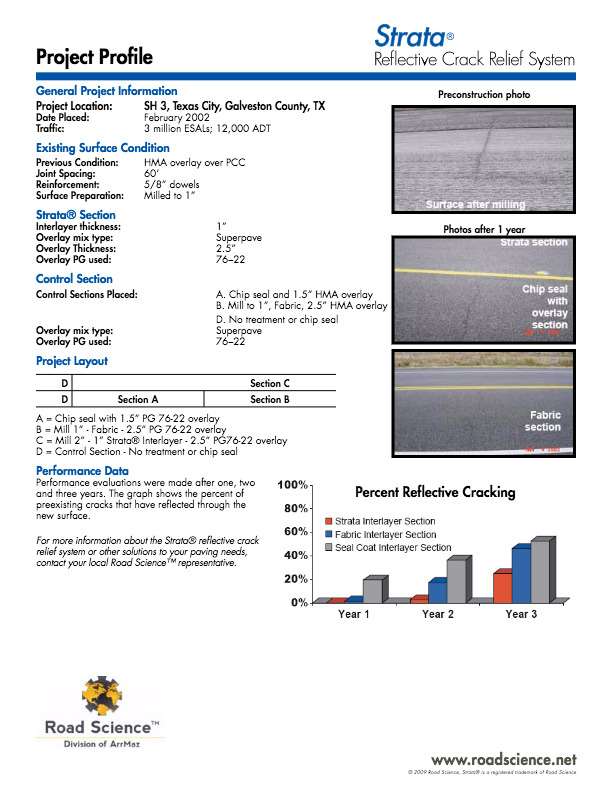 This is a 100% longer overlay life compared to conventional Kansas overlays. 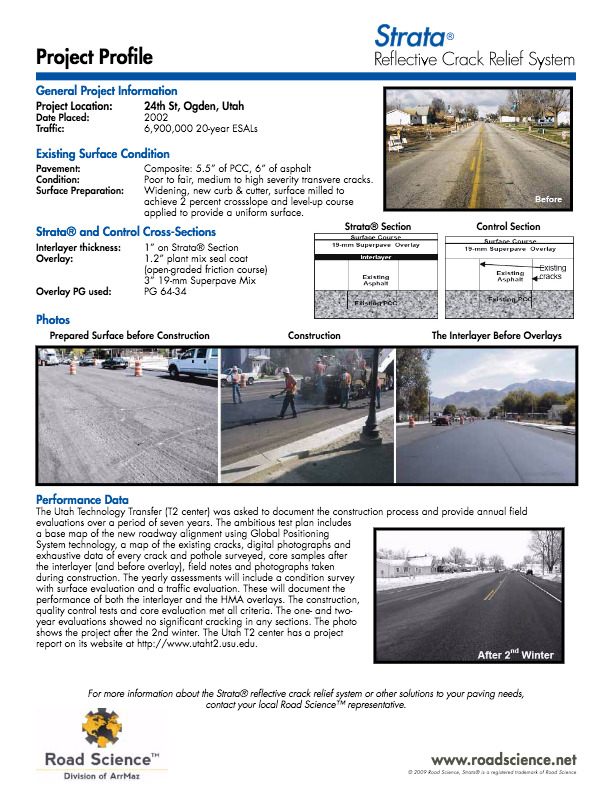 The significant cost savings from the Strata system allows customers to stretch their paving funds to address additional needs.